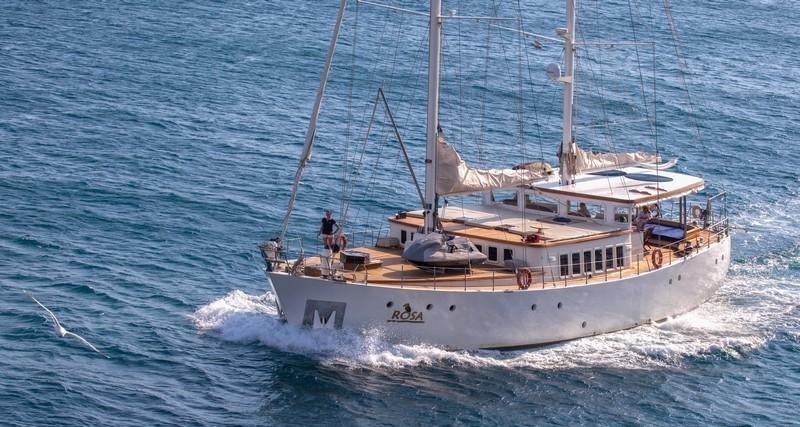 Luxury Gulet ROSA was built in 2008 by the Bodrum based shipyard Aegean Yachts, she measures 24m (78ft) in length and can accommodate 10 to 12 charter guests. 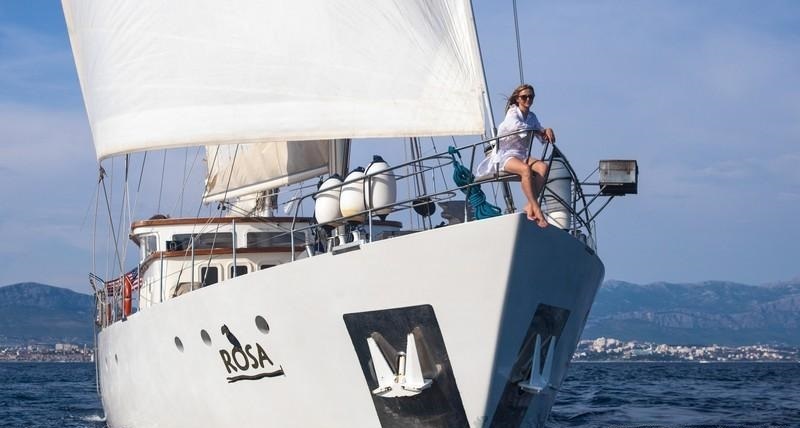 S/Y ROSA is available for crewed yacht charters embarking in Montenegro and cruising Croatia. 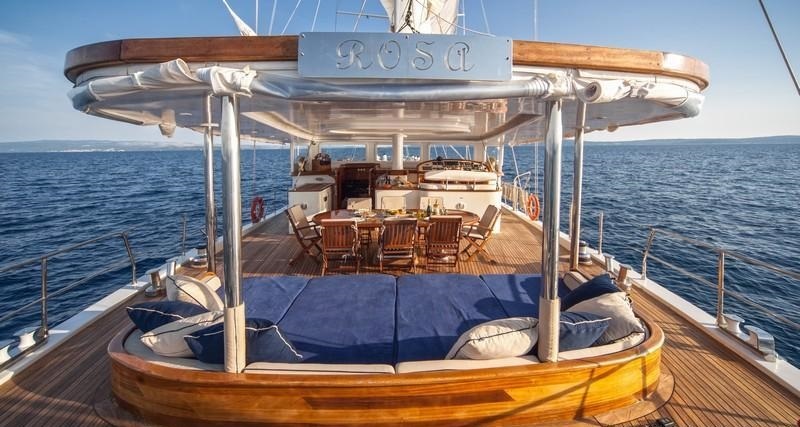 Sailing yacht ROSA features an elegant contemporary interior. 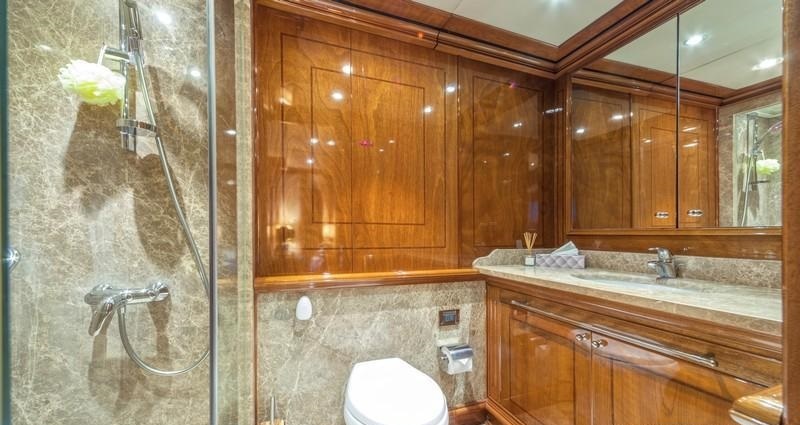 Cherry wood panels, solid oak floors and ivory toned furnishings, create a warm inviting ambiance. 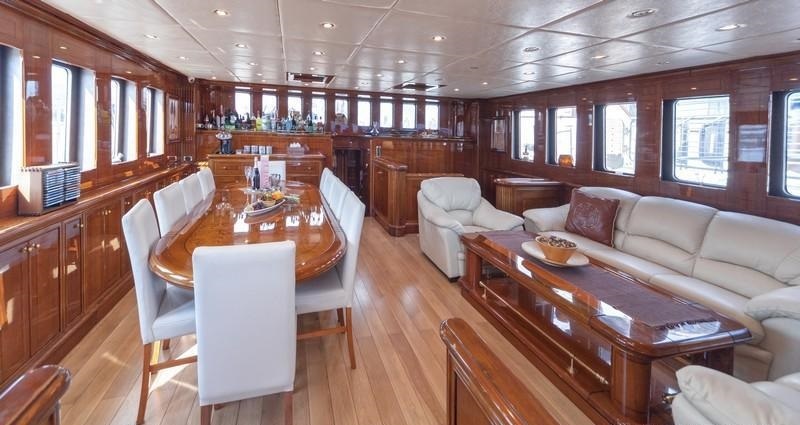 The open plan salon and dining is raised with surrounding windows, for plenty of natural light. 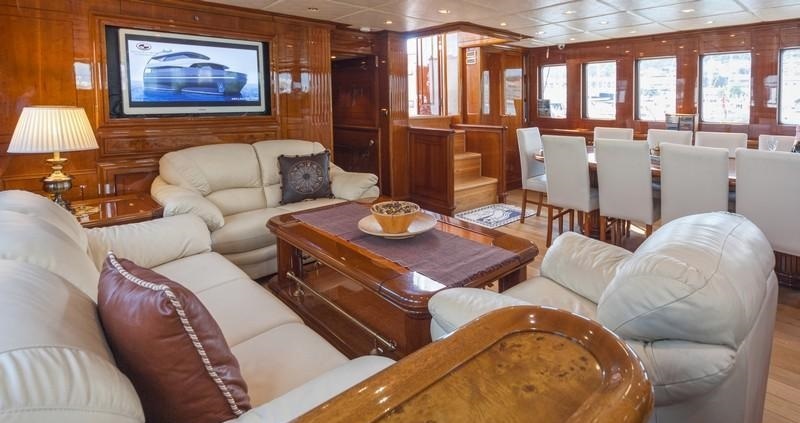 A sumptuous 3 piece leather suite sits to port, while on starboard is a formal dining table, for up to 10 guests. 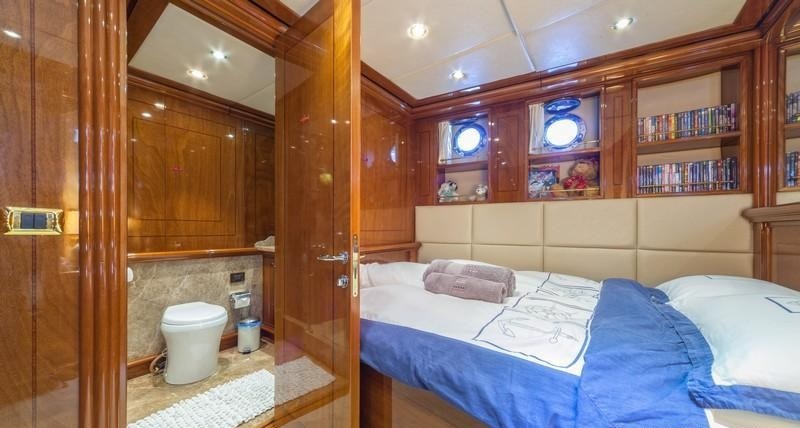 Accommodation is in 5 en-suite cabins, fore and aft of the salon. 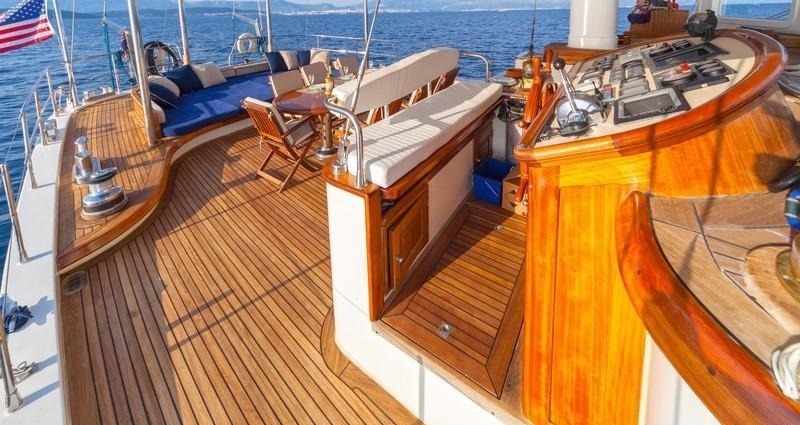 Aboard the ROSA sailing yacht, guests will find ample exterior living with plenty of shade or sun to enjoy, on wide teak decks. 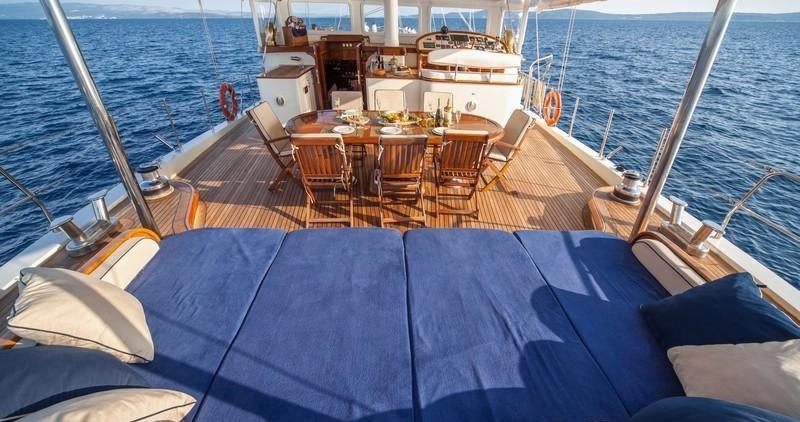 The aft deck is very generous and has an alfresco dining area and full beam aft sunpad. 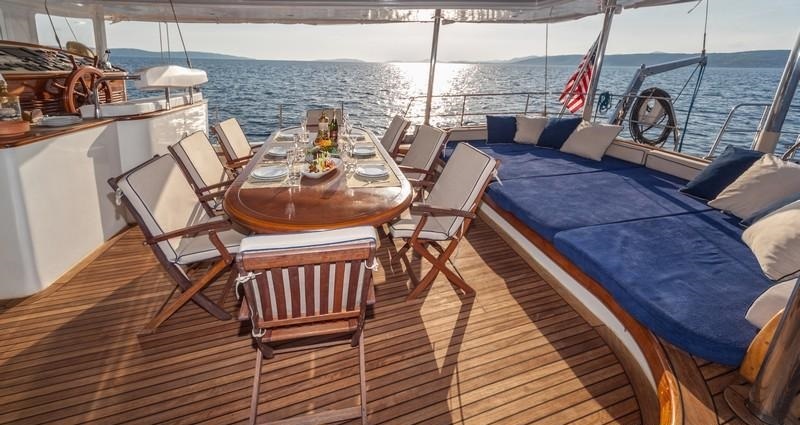 360° decks wrap around the yacht, providing effortless access to the spacious foredeck, where guests will find a sunpad deck atop the salon cabin house, perfect for sunning or simply relaxing. 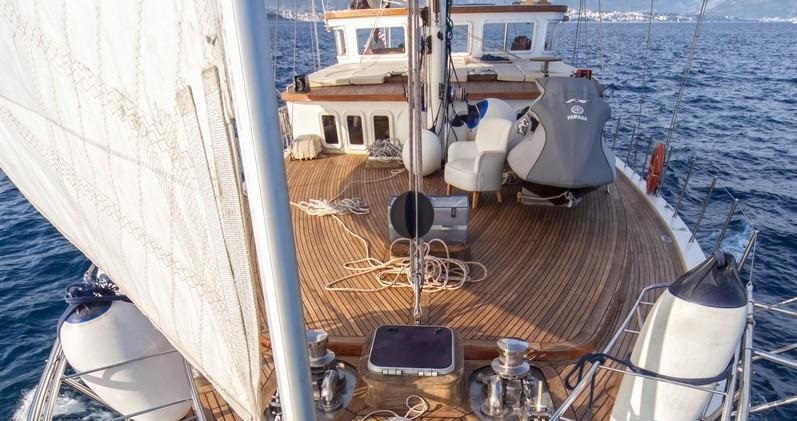 The ketch rigged Aegean sailing yacht ROSA, is powered by 2 x Iveco 220hp engines, she carries 284m2 of sail and cruises at approximately 10 knots. 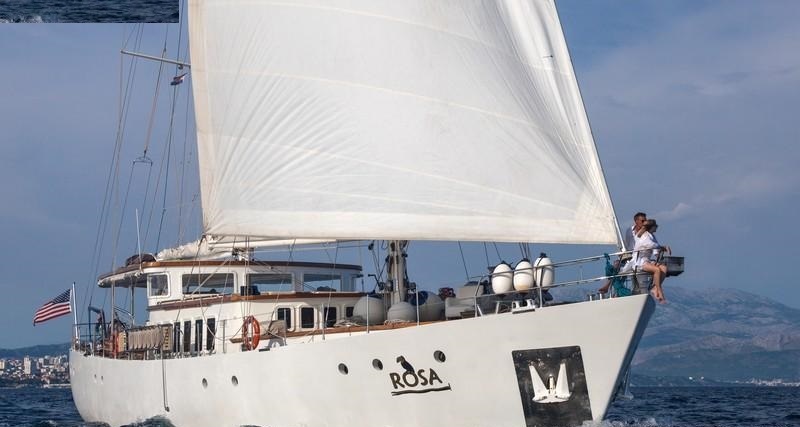 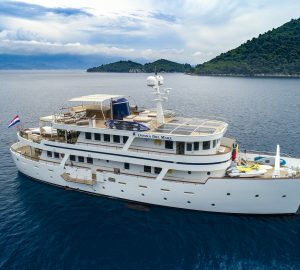 Crewed charter yacht ROSA can accommodate up to 10-12 charter guests, with 2 cabins each having a 3rd bed ideal for children. 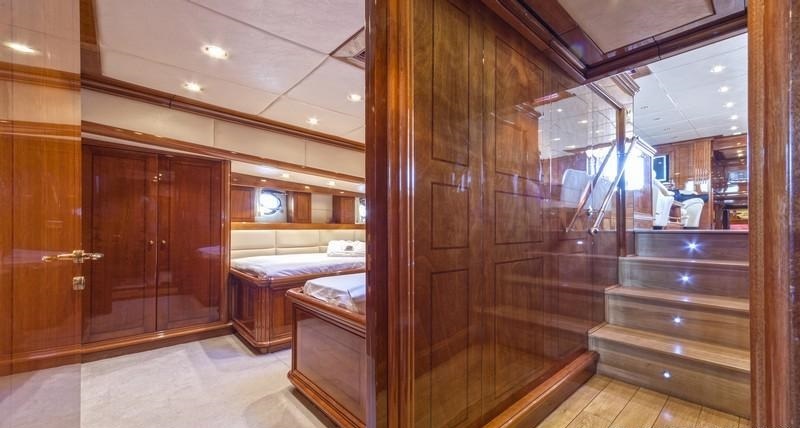 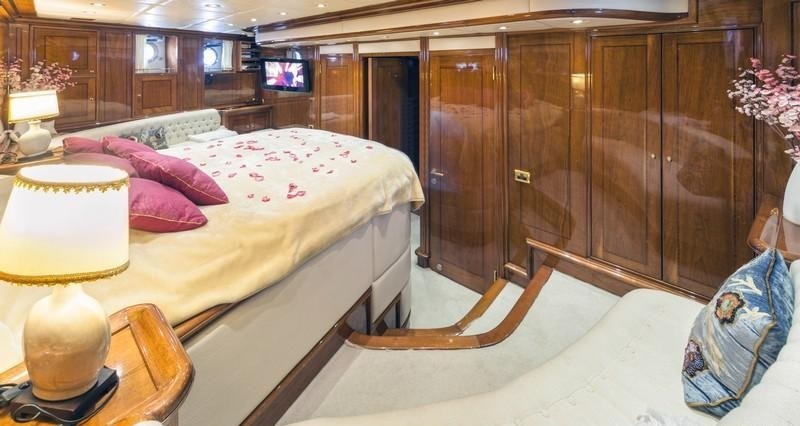 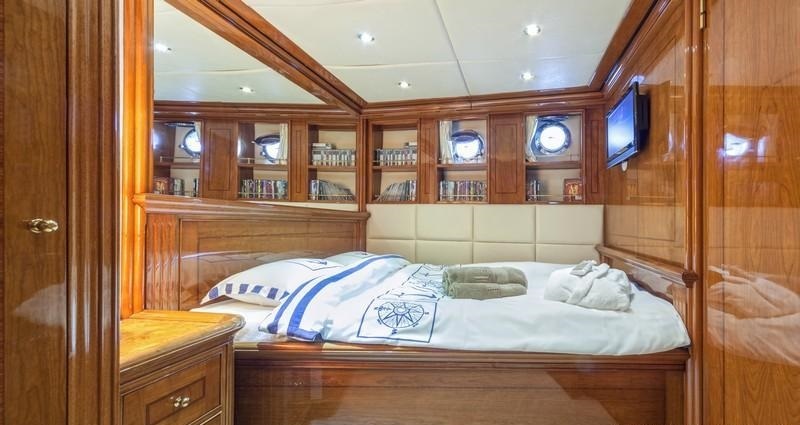 The master stateroom is aft of the salon and full beam of the yacht, with a king size bed and 2 sofas. 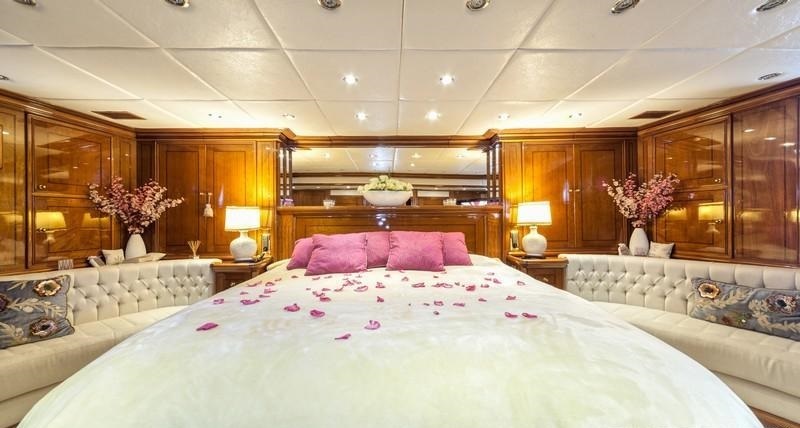 Two guest cabins are also aft of the salon, with queen size beds each. 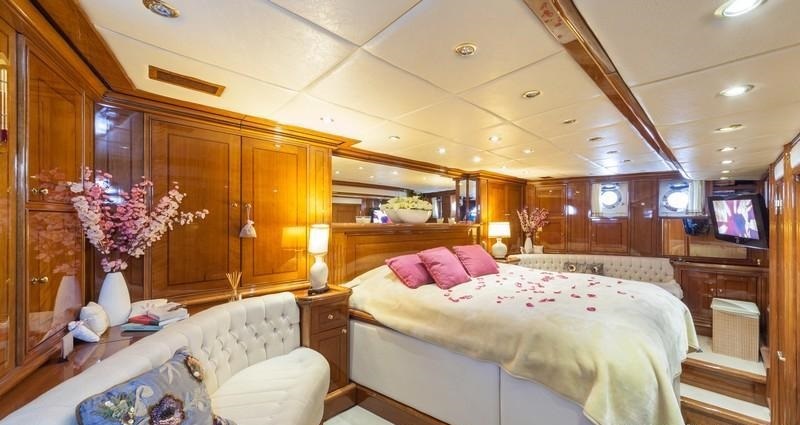 Forward of the salon are 2 guest cabins with 3 single beds. 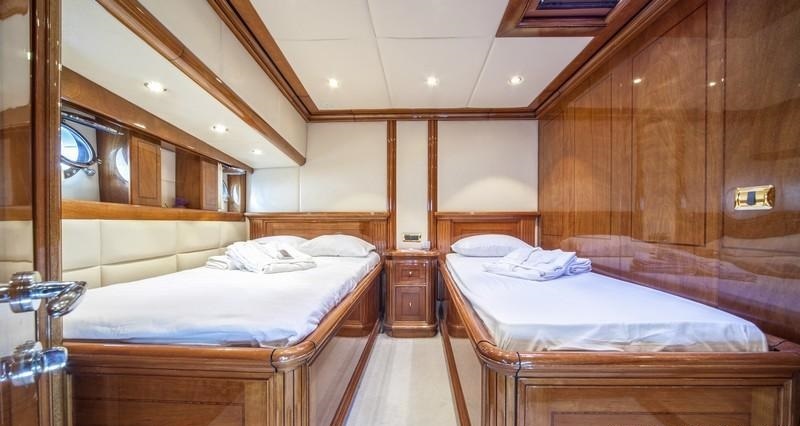 All 5 cabins are light and airy, boast private en-suite facilities and full air conditioning.